Having an informative and professional promo package can be the thing that sets you apart from other bands, whether you're approaching record labels, promoting your own music, trying to get a gig, or if you're an indie record label trying to drum up some interest in your bands. The following steps will help you put together a promo package that will rival any promo campaign run by a pricey PR company. 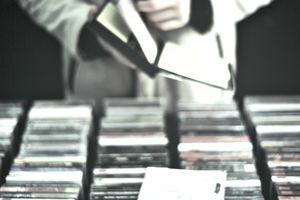 The point of your promo package is, of course, to get your music heard, so choosing the music to include in the package requires some thought. Whether you're trying to get the attention of a label, an agent, the press or radio stations, remember that these people receive A LOT of music every day. They can't possibly sit down and listen to every album from start to finish. Make a short demo cd with your best two or three songs, preferably songs that have strong beginnings, so they capture the listener before they can push "next." Your promo package should include a short -one page is ideal - artist bio. This step is where a lot of people fumble. Don't try to be overly cute and don't make it read like it was written with your thesaurus firmly in hand. The people who do decide to work with you on the basis of your package are going to need some useful information about you and your music, but they don't need to know which song is your Mom's favorite or that you "knew you were going to be a musician the first time you picked up a guitar/heard such and such a song/etc." Go for professional over cheesy. If you're sending a demo to a label or trying to get a gig, you may not have a specific event to promote that requires a press release. However, if you're trying to promote a new album or a tour, your promo package should include a press release detailing the specifics of the thing you are trying to promote. The same rules that apply to band bios apply to press releases - keep it short and include useful information instead of "clever" fluff. Remember, the point is for someone to read that press release and use it to write something about your band. Give them something to work with. If you have a stack of press clippings featuring reviews of and interviews with your band, include them in your promo package. Of course, if you have several you'll have to make some choices about what you can send. Go for clippings from the highest profile publications you can find. To make good copies of clippings. Keep clippings of all of the press you get, and of course, don't send the bad reviews! Cut out the article, the masthead/title of the publication, and the date/issue number. Arrange these items on one sheet of paper, with the title and date at the top, and photocopy the paper. If you're sending your promo package to magazine, website, or newspaper, make sure to include a color photo in your package. A hard copy of the photo or a disk with a photo file will work equally well. The media is much more likely to run a photo if they don't have to chase it down, so including one in your package dramatically increases the chance they will actually run a photo. You should always send a color photo because many publications demand color photos, and the others can always print the color photo in black and white. Be sure to include the photo credit information. Adding a short, personal note to each package is a nice touch, especially if the package is going to someone you have had dealings with in the past or to someone whose attention you are especially anxious to receive. If you have any promotional material, like stickers or badges, throw a few into every package as well. Last, but certainly not least, make sure your contact information is clearly printed on your demo, your bio, and your press release. You can include a phone number, but you should never ONLY include a phone number. People will be hesitant to call you; include your email address and you will be much more likely to get a response to your package. Stay on Point - Although it is nice to include some personal touches in your promo package, avoid taking the "everything but the kitchen sink" approach. In other words, a sticker or two is nice. Fifty stickers, t-shirts in every color and a copy of your favorite novel? That's just overkill. If your promo package has too much stuff, the person opening it will be tempted to roll their eyes and put it aside to deal with later. Perfect Timing - You can send your demo to a record label any time, but if your promo package is to be used to generate attention for a new release or a tour, then timing matters. You can get your package to the right people in enough time to let them act on your information, but not so soon that they forget about you by the time your big event is actually happening. The best way to figure this out, especially with the press, is to call up your targets and find out what kind of publication deadlines they have. Yeah, I'm Talking to You - Speaking of the people to whom you send your promo packages - find out who they are. You won't always be able to find just the right person at the label or the magazine to address your package to, but that doesn't mean you shouldn't try. You're more likely to get some kind of response if you don't fling your package out there and cross your fingers but instead, make sure there is a specific person on the other end of the line. Press Release Help - Need some help writing the material for your promo package? Check out these articles.